San Diego Zoo Safari Park’s Butterfly Jungle is roaring back into life through April 10. Immerse yourself in a flutter of delicate wings. 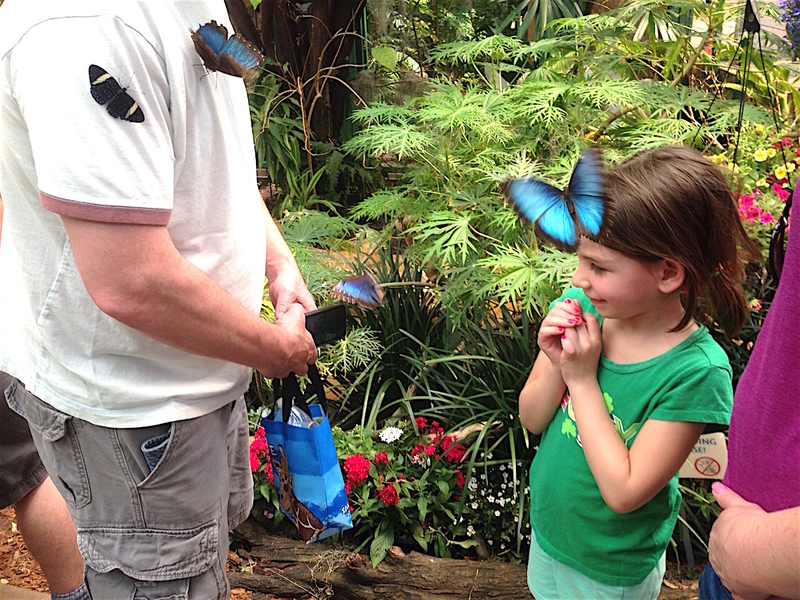 Each spring, Hidden Jungle gets an added dose of color during the Butterfly Jungle event, when thousands of colorful butterflies hatch and add their fluttering presence to this extraordinary exhibit. Once a year, guests at the San Diego Zoo Safari Park are completely immersed by thousands of butterflies as they walk through the Hidden Jungle aviary. Butterfly and girl at Butterfly Jungle. 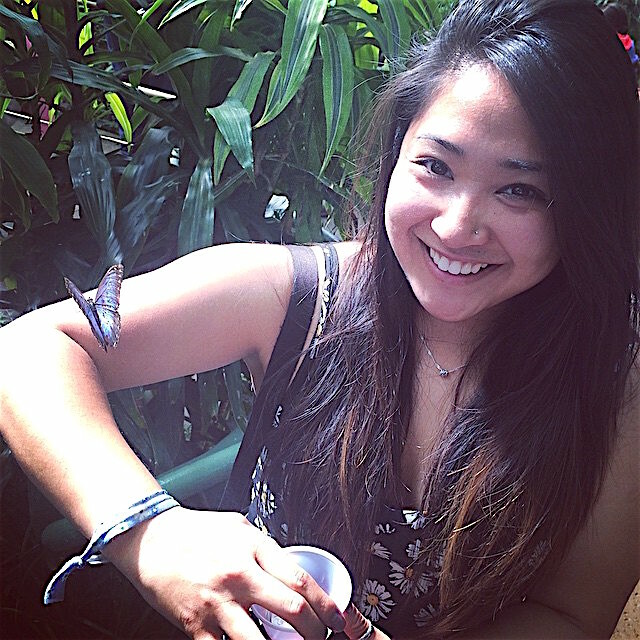 Guests should be prepared, as some of the 30 species of butterflies may even land on their shoulders and head. The Park is open early during the Butterfly Jungle event with operating hours from 8 a.m. to 6 p.m. Butterfly Jungle is included with admission to the San Diego Zoo Safari Park. A tropical rain forest is teeming with wildlife, beautiful but often hard to see. Hidden Jungle’s climate-controlled environment allows you to see delicate and fascinating tropical birds and plants. The dense growth and variety of plants provide cover and food sources for Hidden Jungle residents. • Dress like a colorful flower and a butterfly or two may just land on you! • Butterfly Guide tells all about these amazing creatures! For all the info… go to Butterfly Jungle ad on the right and click. Be the first to comment on "It’s a butterfly jungle out there"